Canon Law, the rules and regulations of the Roman Catholic Church have a number of things to say about Freemasonry. The following excerpts are taken from the version promulgated 27 May 1917; effective 19 May 1918. 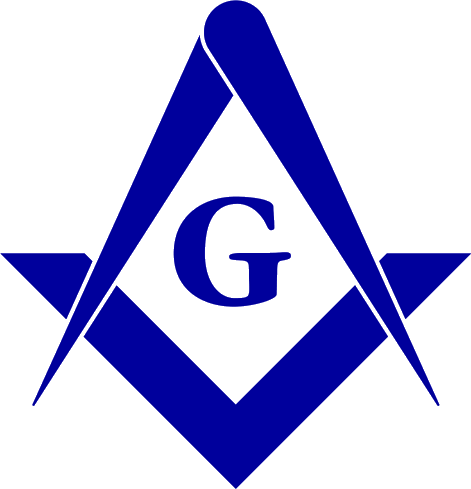 The current version, promolgated in 1983, does not mention Freemasonry by name. These excerpts are taken from one of several authorized English translations of the original Latin. The exact phrasing will vary between translations. 1. Masonic Societies (c. 2335). a. The censure is incurred if the society is one which plots against Church or State, openly or secretly, whether members are secret or not, bound by oath or not. Cappelo thinks Socialists are included. Communist party certainly is. Knights of Pythias, Odd Fellows, Sons of Temperance, are forbidden as intrinsically wrong, but not under censure (Holy Office, 20 June, 1895, 18 Jan., 1896). 8. Books Favoring Dueling, Suicide, Divorce, Masonry. Books which hold dueling, suicide or divorce licit, or which, treating of Masonic sects and other such societies, contend that they are useful and not harmful to the Church and civil society are ipso iure forbidden (c. 1399, 8°). Canon Law, A Text and Commentary. T. Lincoln Bouscaren, S.J. ; Adam C. Ellis, S.J. ; Francis N. Korth, S.J.. Fourth Revised Edition, The Bruce Publishing Company, Milwaukee: 1963 [Imprimatur: + William E. Cousins, Archbishop of Milwaukee] LoCCN: 63-22295.